Professor David Ellwood did his initial medical studies at Oxford where he also completed a Doctorate in Reproductive Biology, working in the Nuffield Department of Obstetrics & Gynaecology. After completing clinical training at Cambridge he began training in Obstetrics & Gynaecology in Oxford and then relocated to Australia, working in Newcastle, NSW. Professor Ellwood's specialist and sub-specialty training was completed at Royal Prince Alfred Hospital, Sydney and with his first academic appointment as Associate Professor of Obstetrics & Gynaecology at the new Nepean Hospital Clinical School in 1991. In 1995 he took up the post of Professor of Obstetrics & Gynaecology at the Canberra Clinical School and was very involved thereafter in the development of the ANU Medical School. 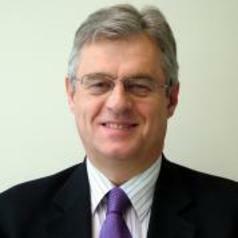 Professor Ellwood became Head of the Clinical School in 2002 and then Deputy Dean in 2006. More recently he has been a Director of the Australian Medical Council and the Chair of the Medical Schools Accreditation Committee. He continues to be both clinically and research active and is currently a Chief Investigator on several NHMRC grants involving birth outcomes, particularly serious morbidity and mortality. The title of Professor Ellwood's thesis is "The uterine cervix in pregnancy". Professor Ellwood became Deputy Head of School Research within the School of Medicine, Griffith University in 2015.